Some couples worry about how to manage a week apart on business trips. 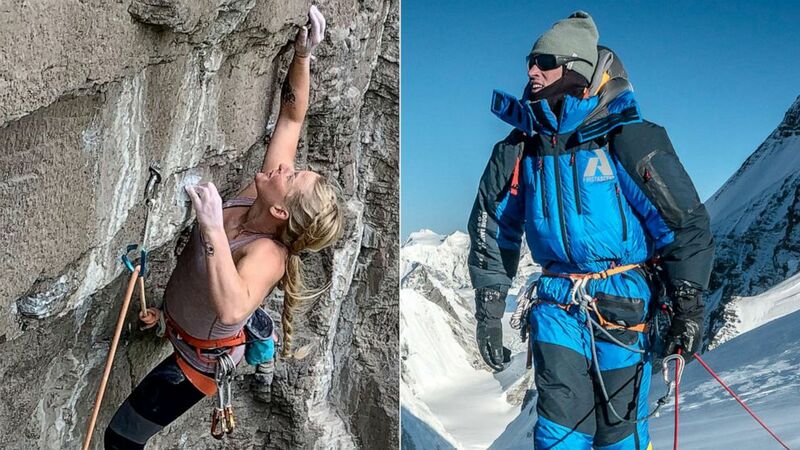 Emily Harrington and Adrian Ballinger — among the top rock climbers and mountaineers, respectively — worry about how to spend months several thousand miles apart while they both make potentially life-threatening attempts at groundbreaking physical feats on the edges of human capacity. On Monday, they are parting ways from their home in Tahoe, California. Harrington, a North Face athlete, is off to attempt the Moonlight Buttress wall in Zion National Park, Utah, and then Yosemite National Park, where she’ll be attempting to free climb El Capitan on the Golden Gate Route in under 24 hours. It’s a route she’s done before — but over several days. No woman has ever free climbed that route in under a day, and only three or so women have free climbed El Cap on any route in under a day. Her belaying partner will be Alex Honnold, who gained mainstream fame with the Oscar-winning film “Free Solo,” which documented his historic climb of El Capitan; in free climbing, as opposed to free soloing, Harrington will be attached to ropes she won’t be using as aid, but that will catch her if she falls — “so it’s far safer,” she explained. Ballinger, an Eddie Bauer mountaineer and CEO of Alpenglow Expeditions, meanwhile, is heading back to Mount Everest — which he’s already summited eight times, including once without supplemental oxygen, which only about 200 people have ever done. 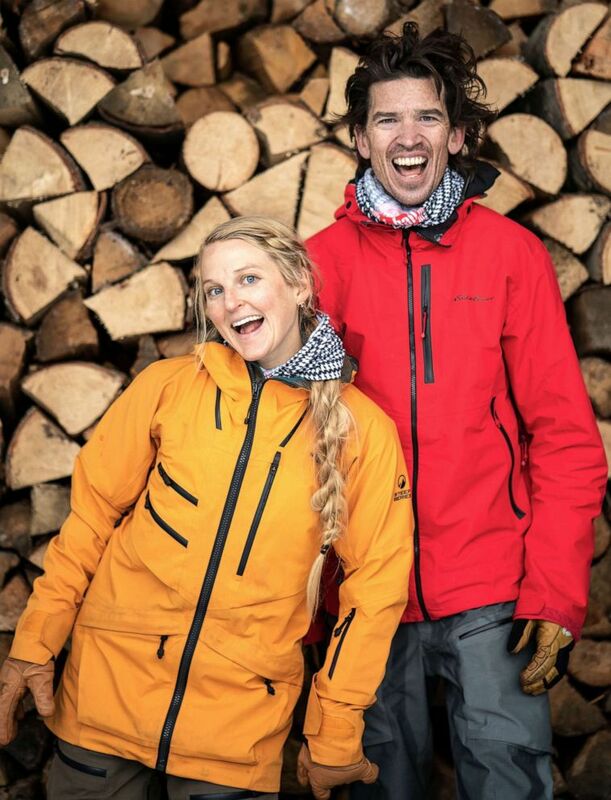 The couple, who met on Everest in 2012 and document their life on a YouTube channel, will see each other for about a week around late May, and then it’s back apart — Ballinger to attempt K2 in Pakistan without supplemental oxygen and Harrington to Peru to attempt some first ascents — until mid-August. 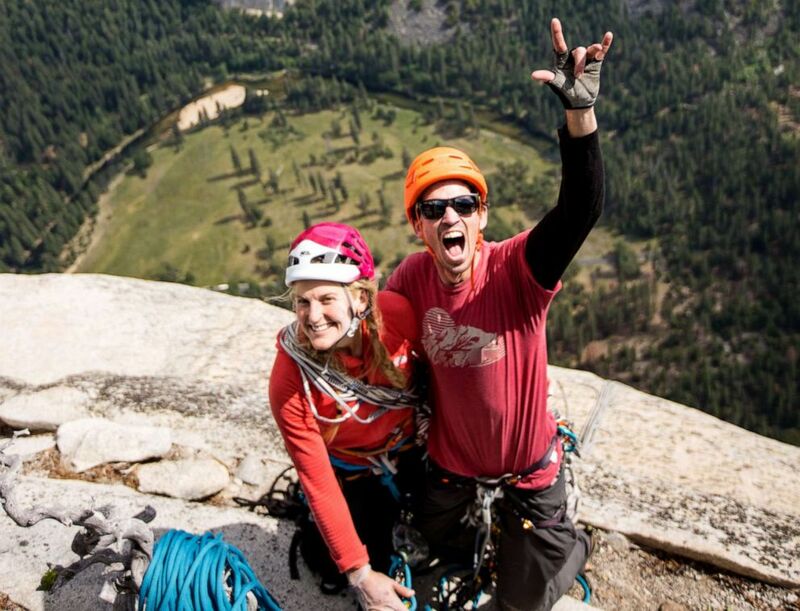 (Jon Glassburg ) Climber Emily Harrington and mountaineer Adrian Ballinger at the top of El Capitan in Yosemite Naitonal Park. This is especially true as “we have this life that we’ve built together,” including a dog, named Cat, Harrington said. But technology has made their time apart easier. “Now, with WhatsApp and satellite technology and FaceTime, we talk in some form every single day,” Ballinger said. “It’s nice to hear like, ‘I’m having coffee outside, it’s sunny out, here’s a photo of Everest,’ and I’ll be hanging on the wall like, ‘Oh cool, here I am on top of El Cap, I’m gonna [rappel] in.’ You get to discuss the tiny little minutiae of the day,” Harrington said. They’re always going to have that — those stories, those experiences of suffering, that massive potential of success or failure — I struggle with not being that person for her. That also means when they reunite, they don’t have a whole life experience to catch each other up on, so their reintegration into being a couple, together, is easier. Even so, that doesn’t mean they’re sharing an experience, and that feeling of being “left out” is the most difficult part for both professionals. “Knowing Em’s having this complete pinnacle experience that’s life-changing for her or a life highlight and she’s doing it with other partners and they’re always going to have that — those stories, those experiences of suffering, that massive potential of success or failure — I struggle with not being that person for her,” Ballinger said. That’s partially why they’ve figured out the key to their relationship — and the best relationship advice they have to offer — is to be honest about everything, from potential business deals to tipsy flirtations or sober connections while they’re on their respective mountains. “We just need to be so open to protect our love and relationship first,” Ballinger said, acknowledging it’s taken time and effort to get there, especially since they’ve been living and dating in the small world of extreme outdoor athletics for longer than they’ve known each other. “We are talking about things like having a family, and I really want to live a long life and have [that] opportunity,” Ballinger said. So, over their past seven years together, Ballinger has lowered the time of risk for random accidents he’ll do in a year. 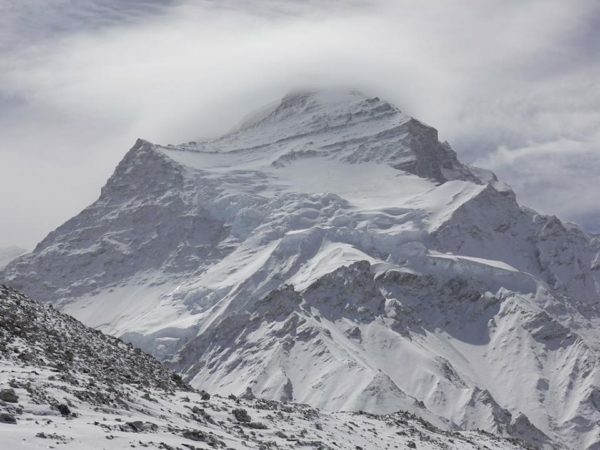 For instance, instead of attempting a new route on Everest this year and doing K2, he spoke with Harrington to figure out which was more important to him and ultimately decided to only do K2 to minimize his time in risk zones. In the weeks leading up to their trips, while they were both busy training, they’d make efforts to join each other, whether at Harrington’s indoor climbing wall or on Ballinger’s recovery runs. “It’s time we can spend together and it feels supportive,” Harrington said. And for their last week together, as morning people, they cleared their early schedules of any calls or meetings so they could “just get up, drink coffee, sit on our deck, and talk about what we have coming up,” Ballinger said. After all, it’s the little things that make a life together, even if that life revolves around the world’s biggest mountains and walls.